Oho, what poem is this? 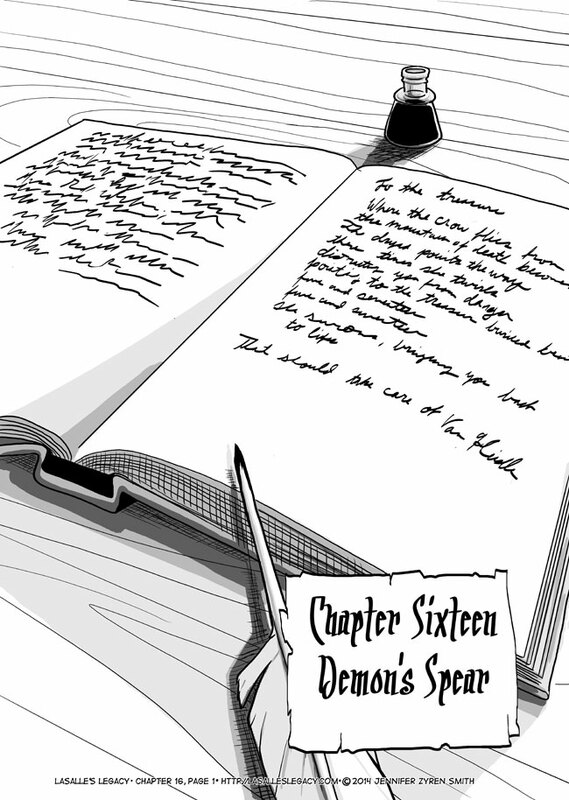 Welcome to Chapter 16! You may not remember, but Demon’s Spear is the name of the largest mountain on the island where Dryfast was established. Oh, and I entered Snow By Night’s fanart contest again. Votes are much appreciated! 😀 Once a day every day! Look at that. All caught up. I think I checked out your comic when you didn’t have much more than the first two chapters. I really like the story you’ve been telling so far. I’m glad you came back and enjoyed! 😀 I hope you continue to enjoy it too.